Hi. Welcome to Deep Ape, home to gratuitous amounts of Mystery Science Theater 3000-related news, reviews, and nonsense! Deep Ape is not officially connected to Best Brains, Rifftrax, Cinematic Titanic, or Shout Factory and is 100% independent. The views expressed here are dumb, probably wrong, and they in no way represent the views of the aforementioned. Amen. If you have a claim on any audio or video posted on this blog, contact me and it will be removed. Also, if you have any tips, corrections, relevant information, or cash gifts, I encourage you to drop me a line. First look at the New Guy? I don’t have a source for this, but… can it be? 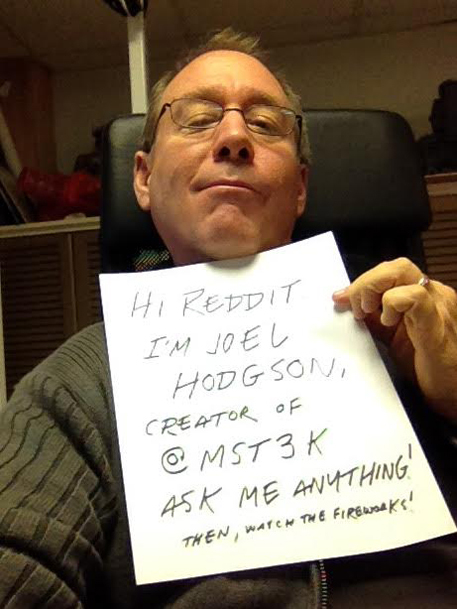 Joel Hodgson recently did an Ask Me Anything session on Reddit, largely as promotion for the resurrection of MST3K. Though I would, of course, recommend reading the AMA for yourself, I thought I’d sift through it and highlight some of the most interesting parts. The new cast has already been chosen. In fact, the new host can be seen in the Kickstarter video. 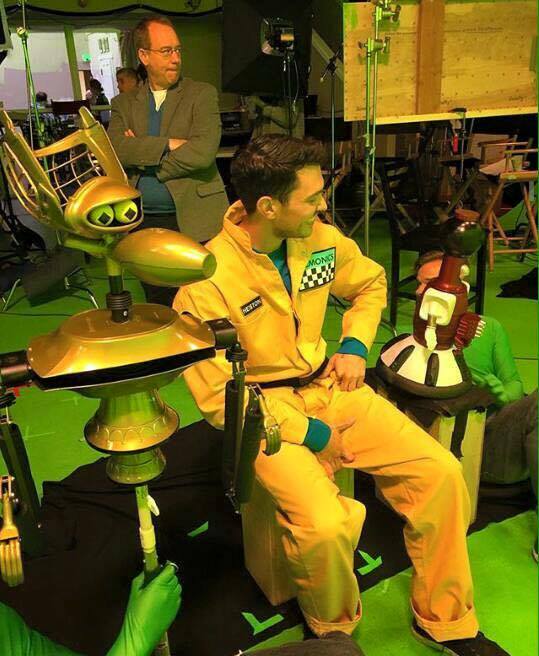 It’s unclear whether Crow and Servo’s new voices were in the video. Either way, we’ll meet the new cast soon. The reboot will probably be shot in Los Angeles. Joel broke down how the Kickstarter’s $2 million would be used. He used this handy dandy infographic to illustrate. He wants the new MST3K to last another 30 years. The reboot isn’t about an MST3K reunion, it’s about new episodes. The new Mad will be the “offspring” of Clayton Forrester. All in all, a fairly informative session focusing more on the new than the old. Though, at one point, a Reddit user asked for an episode recommendation and Joel fired back with season nine’s The Final Sacrifice, which I thought was interesting. Not much to say about this one. Color me disappointed. This is beginning to look a lot like a fresh reboot of the show, both in front of and behind the camera, with Joel being the only returning staff member. I’m trying to remain hopeful, but a 100% fresh reboot isn’t really what I was hoping for. Still no word from Frank, Kevin, Paul, Josh, or Mary Jo. Mike Nelson and Bill Corbett recently took to Facebook and Twitter, respectively, to let fans know that they will not be participating in Joel Hodgson’s upcoming MST3K reboot. Basically, it sounds like they’re committed to Rifftrax, a project that is more their own than MST3K ever was, both financially and creatively; something which this exchange seems to further confirm. Which, you know, fair enough. Still, I can’t help but feel disappointed that they’ve already written off the possibility so quickly. Kevin Murphy has yet to comment on the reboot, but one can assume he’s probably abstaining for similar reasons. Hey, everybody! Remember me? I sure do! 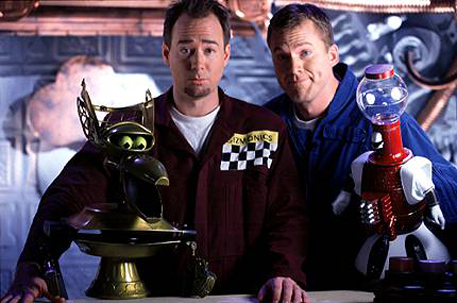 I’m back, because Joel Hodgson is planning to bring back Mystery Science Theater 3000. MST3K.com now redirects to this Kickstarter page, where Joel is asking for a minimum of $2 million to get three new episodes up and running. The more money they receive, the more episodes they’ll produce, up to what seems to be a maximum of 12. Joel will shop the episodes around to TV and streaming platforms and, well, who knows what’ll happen? As always, the Kickstarter comes with some perks for donators, including the usual stuff, like t-shirts, coffee mugs, and downloads of the new episodes. 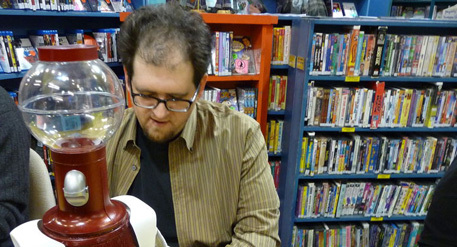 But, if you’ve got deep pockets, you can have your very own official Crow or Tom Servo for $8,000, or both for $10k. As I’m writing this, they’ve already secured over $500,000 for the project, with the full 31 days still to go. In other words, this is happening. The only downside to this project, in my opinion, is that Joel is hoping to recast all the roles. New host, new bot voices, new Mads. The original cast is, of course, invited back to write and guest star, but this is looking to be, for all intents and purposes, a reboot. I trust Joel, but it’s hard not to be a tiny bit disappointed. The Kickstarter has until December 12th to meet its goal. I kind of missed the boat on this one (BIG SURPRISE!) but Trace, Joel, and Josh appeared on MSNBC last week, on long-time MSTie Keith Olbermann’s show. You can see it above and, yes, it’s about as charmingly Midwest-Awkward as you might expect. With exposure like this, I expect to see not just a ton more live shows, but I wouldn’t be surprised to hear of them heading into the studio sometime this year. Not that I want to start a stupid Rifftrax vs. Cinematic Titanic discussion, but has Rifftrax ever received this level of promotion? Or is this the most mainstream exposure a Brains project has gotten since MST3K? J. Elvis Weinstein just sat down for a chat with friend to all MSTies Ken Plume for what Josh describes as “a long, long time.” I haven’t listened to it yet, but I’m going to go ahead and say that it is probably “entertaining,” possibly “incredible,” and most likely not “ghetto fly.” Give a listen here.